Today a journalist contacted me about the announced closure. Looking through the only lens that matters, that of the workers, I was presented with expected and unexpected questions. Organized Labour’s position was easy to present. “GM, a company full the gills with public money, has betrayed dedicated workers in hopes of redeploying to locations where workers are much more easily exploited. The actions of GM are a betrayal to workers. Even with this public money GM has decided to sacrifice 2700 direct jobs and thousands of support jobs in the name of corporate greed and with callous disregard for the workers and the communities affected”. 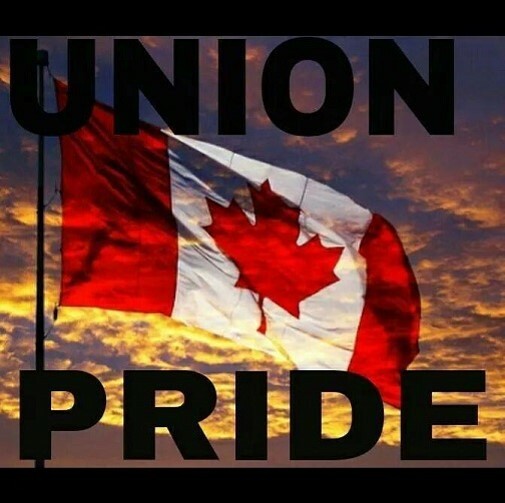 “Add to this, the actions of the more than useless Doug Ford, and you have only those that are directly affected, the bargaining agent(s) and the union movement along with those that have compassion and a desire to see workers prosper working to aid the workers and communities so adversely impacted”. Overall, an interesting interview. Be interesting to see how the quotes fall out. This entry was posted in Uncategorized on November 30, 2018 by greybrucelabour. This entry was posted in Uncategorized on November 26, 2018 by greybrucelabour. The regular monthly meeting and executive meeting is scheduled at the Unifor Family Education Centre in Port Elgin. Executive, 4:45 PM / Regular Meeting, 7 PM. The safety of all those attending Labour Council functions is the first concern. With that in mind, please monitor Email, Facebook and Twitter on the 26th for updates should the weather situation deteriorate and changes to the scheduled meetings take place. This entry was posted in Uncategorized on November 25, 2018 by greybrucelabour. By Chris Nadon Posted November 15, 2018 In What’s Happening Now? Toronto, November 15, 2018 / – Members of the International Alliance of Theatrical Stage Employees (IATSE) Local 58 voted at a general meeting this morning in favour of ratifying a proposed contract with Exhibition Place, bringing to a close an arduous and often volatile four-month lock out imposed by the city-owned venue on July 20. The contract ratification follows almost a year of deliberations between IATSE Local 58 and Exhibition Place, which culminated in a marathon 21-hour mediated bargaining session on Tuesday, November 13. Though IATSE Local 58 members voted to accept the contract, Local 58 president Justin Antheunis acknowledges that the union is angry about the concessions they were forced to accept and they “took it on the chin” in order to get back to work, calling the lock out and many terms of the agreement a blatant attack on workers. The main sticking point throughout deliberations has been the city’s mandate to contract out union jobs on Exhibition Place grounds, which Local 58 maintains is a union-busting exercise. Though IATSE Local 58 made several concessions, including some involving this stipulation, the Exhibition Place Board of Governors continued to reject the union’s proposals until November 13, when compromises were ultimately agreed upon. This entry was posted in Uncategorized on November 16, 2018 by greybrucelabour. November 13, 2018 2:15 P.M. Convicted: J.M. Lahman Manufacturing Inc., 5467 Ament Line, RR1, Linwood, Ontario, a company that manufactures steel tubing. Location of Workplace: 3617 Lichty Road, Linwood, Ontario (Township of Wellesley, northwest of Kitchener). Description of Offence: A child was killed in a factory when bundles of steel tubing fell. Date of Offence: July 6, 2017. Date of Conviction: November 13, 2018. Following a guilty plea, J.M. Lahman Manufacturing Inc. was fined a total of $150,000 by Justice of the Peace Michael A. Cuthbertson in Kitchener court; Crown counsel Wes Wilson. Section 66(4) of the Occupational Health and Safety Act (OHSA) makes any act of a supervisor the act of the employer. The workplace is a factory as defined in the OHSA and section 4(1)(b) of the Industrial Establishments Regulation (Regulation 851) prohibits the presence of persons under the age of 15 in a factory unless accompanied by an adult. A worker/supervisor for the company was attending at the facility, accompanied by two children. One of the children was moving freely through the aisles of the facility unaccompanied. The worker used a crane to place three bundles of steel tubing on top of a stack of similar bundles. The three bundles had been left over from the day’s work. Each bundle of tubing weighed approximately 2,140 pounds. The total weight of the stack was estimated to be 15 tons. The stack of bundles dropped and collapsed. The stack fell onto the child who had been moving about and the child was killed instantly. The other child was far enough away as not to be harmed. A Ministry of Labour engineer determined during the investigation that the use of softwood spacers between the bundles and the use of insufficient numbers of bands to hold the tubes together contributed to the collapse. There may have been other factors as well. A fine of $100,000 was imposed for permitting a person under the age of 15 to be in a factory. A fine of $50,000 was imposed for failing to ensure that bundles of steel tubing were placed and/or stored in a manner such that they could not tip, collapse and/or fall as required under section 45(b) of the regulation. This entry was posted in Uncategorized on November 13, 2018 by greybrucelabour. At Kincardine RCL Branch 183 a couple of hundred people attended the 100th Anniversary commemoration of the Armistice to end the war “to end all wars”. This entry was posted in Uncategorized on November 11, 2018 by greybrucelabour. This entry was posted in Uncategorized on November 9, 2018 by greybrucelabour.